I have been forced to address you in light of the events that happened between 11 of November and 16 of November 2018. In fact, the events of the said period had affected not only myself, but also members of the former People’s Democratic Movement Birdamlik, which is now the Birdamlik People’s Democratic Party of Uzbekistan. Therefore, we found it necessary to address you to express our disapproval of the illegal actions of law enforcement bodies and officials State Border of the Republic of Kazakhstan in relation to our associates and me. Let me give a brief description of the events. In 2004, I, Bakhodir Khan Turkestan (Bokhodir Choriyev) founded the Birdamlik Movement and acted as its leader. In 2004, I had to leave Uzbekistan due to the persecution and violence against my family and myself by the regime. Now, I live in the USA. In 2014, I was illegally deprived of my citizenship of Uzbekistan. This year, I have had to take US citizenship. While in my Motherland and abroad I have not stopped my political activities. During the past period, in 2009, we held a Conference of the Movement in Uzbekistan, in 2014 – we held the first Congress of the Movement in the USA. At proposals of the activists of the Movement, we decided to hold a Congress on 15-16 of November for the purposes of changing the status of the Movement to a Party, and adopting its Program and Charter and electing a leader to the Party. It was natural we started working to facilitate this. In my turn, for participation at the Congress, I applied for a visa to the consular department of the Uzbek embassy in the USA. I was refused a visa. In addition, the authorities did not let us hold a pre-Congress Conference in Uzbekistan and posed different persecutions to our activists. Therefore, we decided to arrange the Congress in the territory of neighboring and friendly power – i.e., in Chimkent town of Kazakhstan. Unfortunately, only 4 people intending to attend the Congress could reach Chimkent. On 14 of November, they also were evicted from their rooms in Dostyk Hotel in Chimkent, which we had booked upfront and were deported from the territory of the Republic of Kazakhstan due to the actions of the officers of the National Security Services of the country. In addition, the Party Secretary Qahramon Makhmedov was not given permission to enter the territory of Kazakhstan, and later we found out that he had been deported for 5 years. Also, banners and office equipment, owned by our organization, had been confiscated. The Law enforcement authorities took four of our activists out of the Dostyk Hotel in Chimkent and interrogated them at the Al-Farabi district Internal Affairs Department. And a day later, on local TV, they showed the video from CCTV camera saying that “A criminal group of Uzbekistan citizens were arrested.” I was not given permission for entry into the Republic of Kazakhstan on 11th of November, 2018. As a result, I had to stay in the capital of the Kyrgyz Republic Bishkek. 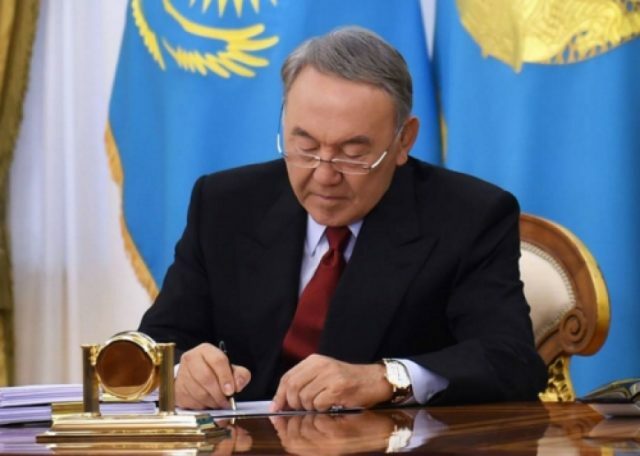 Dear Mr. President, by addressing to you, I fully acknowledge that you are the Head of the country, who had signed the Human Rights and Fundamental freedoms declarations of the UN, and who guarantees the human rights and ask you to assess the injustice done to me and my associates and clarify the reasons of refusal for entry to myself to the Republic of Kazakhstan and deportation of our activists from the country.